The eighth Onething Live album from Forerunner Music, Love Makes Us Strong, is a collection of the most powerful and memorable worship moments, recorded live at Onething in Kansas City, Missouri. 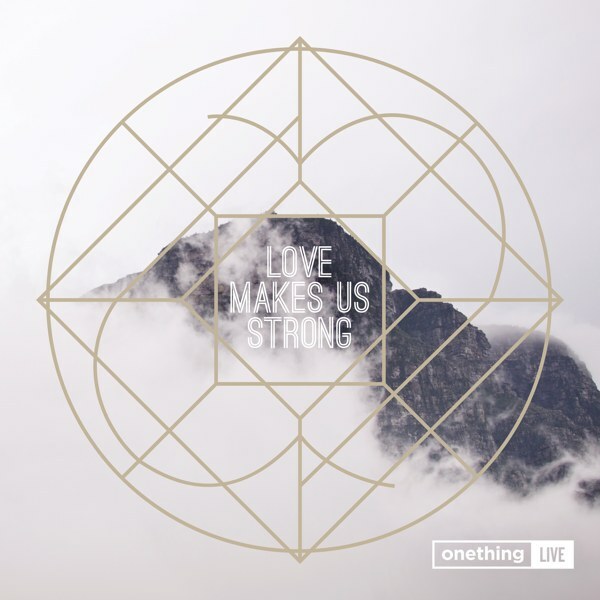 Love Makes Us Strong features new songs from established Forerunner Music artists Laura Hackett Park, Jonas Park, Jon Thurlow, Jaye Thomas, and more, as well as four worship leaders from the International House of Prayer appearing on a Onething Live album for the first time: Brenton Dowdy, Lauren Holmes, Christina Reynolds, and Chris Tofilon. Also featured is “Even Unto Death,” led by guest worship leader Audrey Assad, as well as a cover of her song “I Shall Not Want,” sung by Misty Edwards, and a cover of Chris Tomlin’s “Even So Come,” sung by Laura Hackett Park.